Do you love to dance? Or perhaps you’ve decided it’s safer to leave the dancing to those more confident in their limbs? Either way, the Bouge d’Ici dance festival is designed for you. You can follow me in my adventures through some of this year’s most exciting events. But before we begin, I’ve spoken to the Bouge d’Ici’s artistic producer, Allison Burns, to give us some insight into the festival and to convince us that you (—yes, you!) should take part. Brigitte Naggar (BN): First of all, what is Bouge d’Ici all about? Allison Burns (AB): Bouge d’Ici is all about supporting emerging dance in Montréal. We are focused on encouraging artists who are at the beginning of their dance career either because they are just coming out of school, or transitioning into the industry from another discipline. Every activity and event we produce is intended to create visibility and accessibility for the general public to explore and enjoy dance. BN: How long have you been involved in Bouge d’Ici, and how did you find yourself becoming a part of it? AB: I have been involved in Bouge d’ici since the very beginning. The festival’s flagship show, the Common Space/L’Espace Commun showcase actually preceded the festival. Originally we were just a small group of Concordia Contemporary Dance students – led by Amy Blackmore – who were dissatisfied with saying goodbye to a choreographic work after it hit the stage. Hungry to keep working on our dance pieces, we made the decision to produce our own showcase to give us the experience of producing work outside of school, and to deepen our creative processes. A really important aspect of that first show, which continues to be an integral part of the Bouge d’Ici philosophy, is the idea of mentoring, and supporting one another. These days the Common Space/L’Espace Commun showcase pairs emerging choreographers with more experienced dance professionals, and we, the planning committee, take care of the production and promotion of the show. BN: Why “Bouge d’Ici”? What other competing festival titles didn’t make the cut? AB: Fun fact, Commotion Farm was the original title of our organization back when we put together the very first edition of Common Space/L’Epace Commun. One reason that Bouge d’Ici was chosen is because it involves the idea of “movement” without restricting it to preconceptions surrounding the word “dance.” Also, we are based in Montréal, and proud of it, which works well with the “move from this place” interpretation of the title. We have a lovely mix of Anglophone and Francophone artists in our showcase, and otherwise participating in the festival. Actually, on that note, our scope is expanding, and we are receiving applications from elsewhere, we even have an Alberta based artists in the showcase this year. BN: What is your favourite part about getting the annual festival together? AB: The community building aspect of the festival is very present, and really very beautiful. We have artists from all different institutions and communities, EDCMTL, Concordia University, and Ballet Divertimento. As I mentioned, our geographical scope is widening as well, and we have people from San Francisco and Alberta involved this year. Plus, the fact that we pair our young choreographers with more experienced mentors the mix of people coming together is even more diverse. The fact that all the events take place in the casual atmosphere of Mainline Theatre encourages mingling. I love seeing the new relationships being formed; artistic partnerships and friendships emerge from the Common Space/L’Espace Commun process and the festival events. All are welcome to attend shows, and even participate by attending a workshop on tap, yoga or musical theatre dance. The festival week caps off with a bang with the fantastic Cabaret event that features work from festival mentors, we planning committee members and invited guests. It is followed by a dance party and serves as a wonderful celebration of our community! It will be extra awesome in 2014 as it also serves as our 5th anniversary party! BN: Finally, is there anything particularly exciting about this year’s lineup? Something a potential audience should keep its eye out for? AB: Le Projet Migration is not to be missed! Christine Germain choreographs the show in collaboration with Slater Penney. These two performers have put together a creative and impressive show that really touched me when I first saw it in the summer of 2012. They came up from San Francisco and presented their work as a part of the St. Ambroise Montreal Fringe Festival, and we awarded them our first ever Bouge d’Ici prize for most outstanding choreography. The show opens the festival and runs for three nights, January 8th, 9th and 10th at 8pm. Of course, the Common Space/L’Espace Commun is always an exciting event. Having a showcase of nine works of varying styles ensures that every audience member will walk away having seen something that speaks to their tastes. 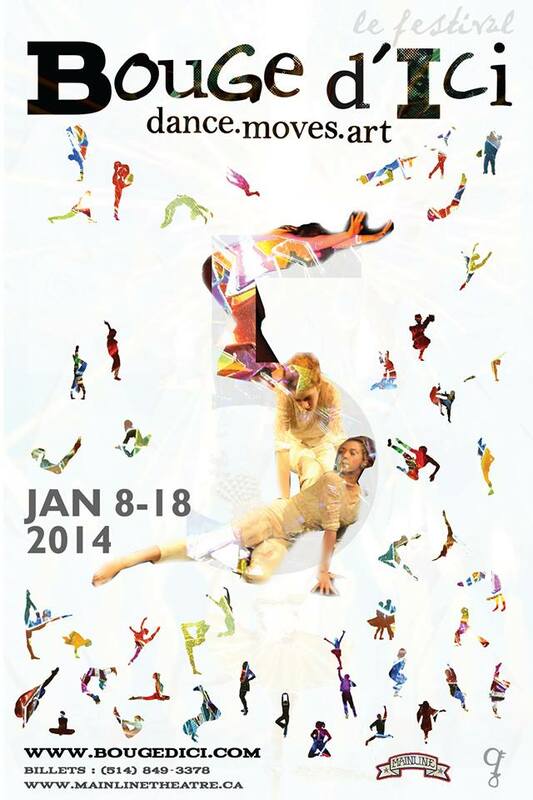 The Bouge d’Ici dance festival runs from January 8-18th at the Mainline Theatre. 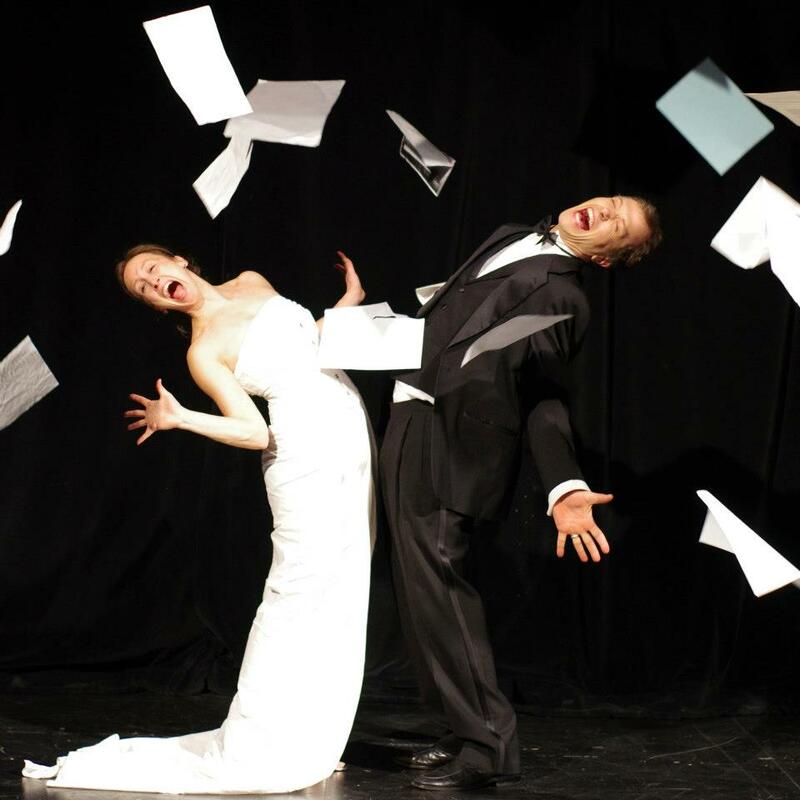 Event tickets for shows and workshops are between ‘pay-what-you-can’ and $12 and can be reserved at 514-849-3378. Excellent interview. The description of the festival and the enthusiasm of the organizer comes across very clearly.